Anyone who follows my Twitter or has had a conversation with me for more than five minutes knows that I like to talk running. All too often I’ll chat it up with a stranger who just happens to be wearing some old race shirt or I’ll see a wall post of Facebook about maybe signing up for a race so of course I chime in. 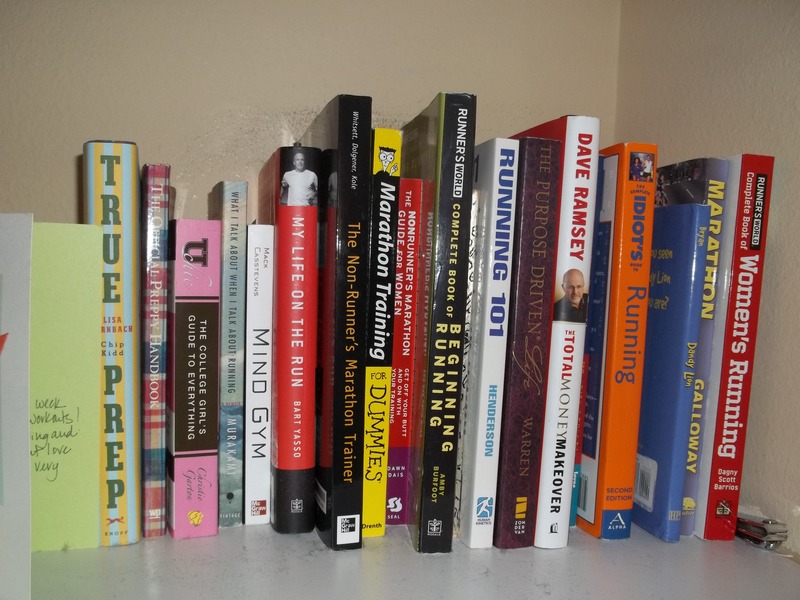 My laden bookshelf boasts countless books and magazines that all have one common theme in mind: running. Relentlessly reading the pages that talented authors have worked so hard to write about through their own experience can hold my attention for endless hours on any given weeknight. But these people are qualified. They know what they are talking about. They can preach because they have practiced. So where does that leave me? i got all the credentials. If there is anyone that I can talk running to about it is my training partner, Michelle. I literally waste hours of her day by sending three page long emails, constant texts, and I often take up space -and time- in her office just chatting about running. What works, what doesn’t, what we should do, what pace to run, which race to do, what to eat, etc. But when it comes time to practice the preaching, that’s where the buck stops. We met Tuesday for a jaunt on a local greenway. We set out for five miles and I’m not tooting my own horn when I say we had an extremely successful run. Michelle is still nursing an injury and I have been running way more than normal lately. All of this aside, we still managed to hold a solid negative split pace and ended strong. Not too shabby. I think I speak for us both when I say that we gave it our all and pushed until we emptied our tanks. 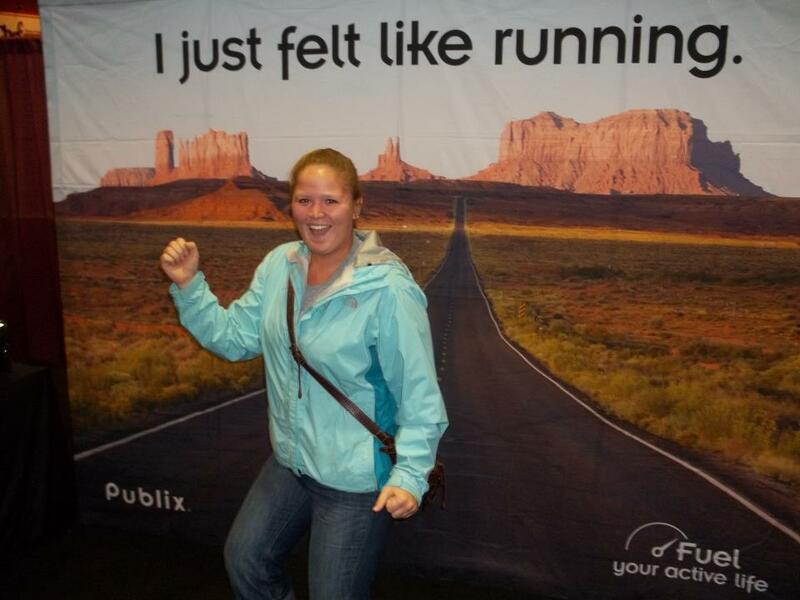 Runs like that make me love running. Good company definitely has something to do with that. Prime example of practicing what we preach. Fast forward to yesterday. Michelle and I are constantly discussing how no matter what your skill level is…some days you have it and some days you don’t. Period. End of story. That sounds like a great mindset right? Not so much for me yesterday. After Tuesday’s stellar run I wanted to do another five miler yesterday to see if I could run with the same strong ability that I had less than 24 hours earlier. After my morning class I drove over to Sequoyah Hills (part of the marathon course) to throw down some good miles. 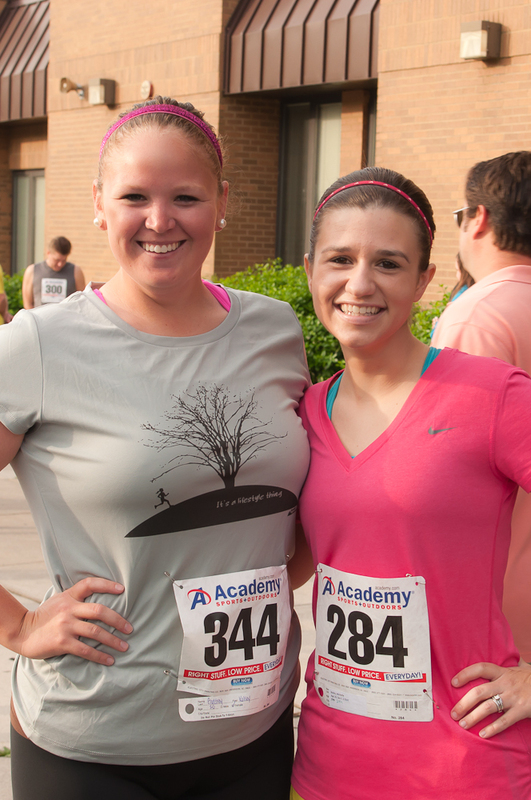 Let me just say that the hills were so much easier on race day. I had barely made it a mile and a half before decided to call it quits for the day. I just didn’t have it in me. My legs hurt, my breathing was hard, and my mind was not cooperating. So I turned around an unwillingly settled for 3 miles–having to stop multiple times on the way back just to breathe and stretch. Insert temper tantrum. I definitely shed a few tears on the drive home because I felt disappointed in myself that I couldn’t run as strong as I had the night before and I felt anger towards myself for stopping. But then I realized that any mile is better than no mile. Preaching to the choir? I sulked a little then following my afternoon class I decided to get redemption. So I laced up the sneakers and headed down to a FLAT course that I knew like the back of my Garmin. I felt slightly better during this run but still didn’t feel capable of giving it my all. I ran to my turn around spot and was about .75 miles away from the car when I wanted to quit. But it was pizza night last night at church so I promised myself that if I could make it til the end then I could splurge. 6 miles equals some pizza, right? Redemption was mine! Boom. Six miles for the day. Six long and enduring and uneventful miles that made me partially hate running. Yes, I sought redemption by falling off the horse and hopping right back on the same day in an effort to make things right. But it gave me a lesson in humility. Some days you have it and some days you don’t. The days you don’t are the ones that test your character as an endurance athlete. Those are the days that show you are worthy of being a runner and that everybody is entitled to some bad days. It tests your willpower and robs your stamina. But you do it anyway because you are strong and dedicated. And because you practice what you preach. And because like most things…this too shall pass. so excited to be going running! How do you deal with “bad” runs? Ever gone after redemption? Do you ever feel like you aren’t practicing what you are preaching? What’s the best running advice you have ever received? Oh, I am totally feeling this right now. Either my runs are AMAZING or TERRIBLE lately! Don’t know what’s going on but I know that there’s always a good run up ahead. That’s what I tell myself, anyway! I just try to remember the best thing about having a bad run…a good run is right around the corner. My past 2 long runs have been horrible! But then during the week, I have these amazing mid-sized runs and it fuels me for the next one! Let’s just hope that by the time I have that one good long run, it’ll be next saturday at my race! I’ve gotten to be aware of my body with its autoimmune diseases and somedays I just don’t have energy, but I’ll give it a go anyway. I’ve been in a funk these last two weeks and this whole last weekend, into Tuesday, I had a horrendous pain beneath my left breast and then it went away. No training for me, no ability to move the abdomen without pain, etc. 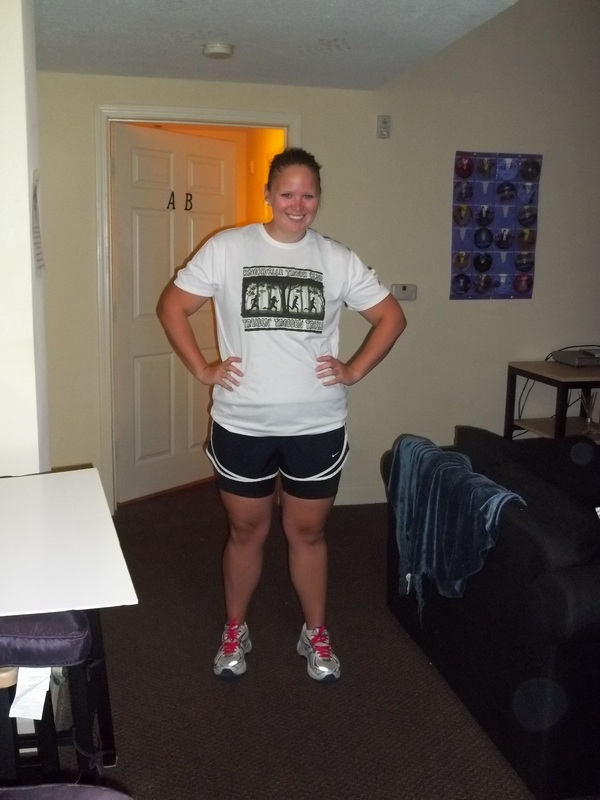 Wed was the first time I got on the treadmill since Friday and that was hard to do. Being dehydrated doesn’t help either. I notice when I drink my hot tea I tend to not drink as much water (bad Quirky, bad).